Primo Pizza 84! Hottest Pizzeria in NYC! Welcome to the official Primo Pizza 84 website! The new neighborhood pizza favorite! Welcome to the official Primo Pizza 84 website! The new neighborhood pizza favorite! NOW Serving: Chicken, Sausage, Meatballs & Pepperoni Pizza! 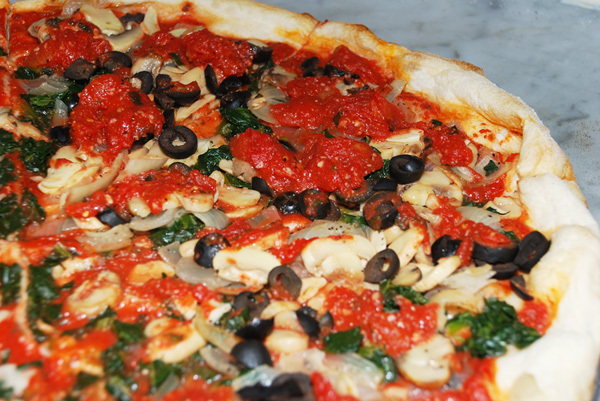 Our signature Vegetarian Pizzas are still available & highly in demand! This entry was posted in Best NY Pizza. Bookmark the permalink. 4 Responses to Primo Pizza 84! 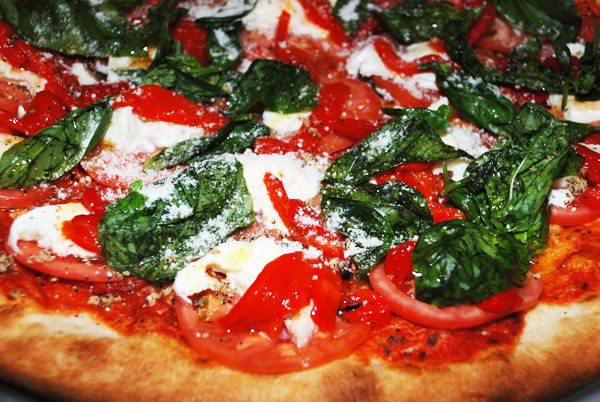 Hottest Pizzeria in NYC! Best pizza in nyc!! Love that it’s gluten free!!! My friends and I go here all the time! 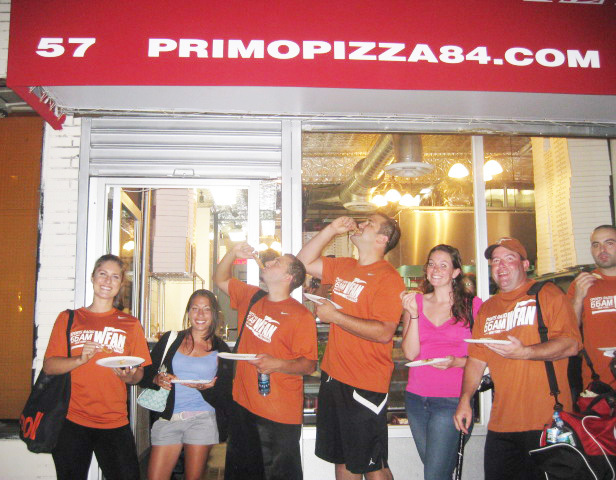 The PrimoPizza84 Family thanks you, so much for enjoying our healthy food! We can’t wait to see you come back again. Please LIKE us on Facebook! 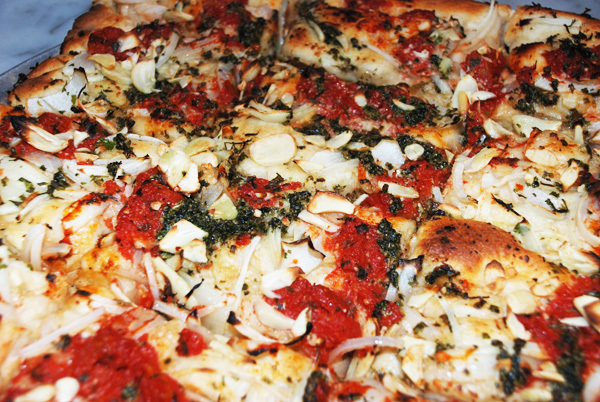 I’ve been enjoying Primo’s pizza and other specialties for months now and absolutely love everything I’ve tried. They have a ‘no meat’ policy but I really don’t miss things like pepperoni since the pizza is the best I have ever had. If you haven’t had the opportunity, you should definitely give them a try. Rudy! 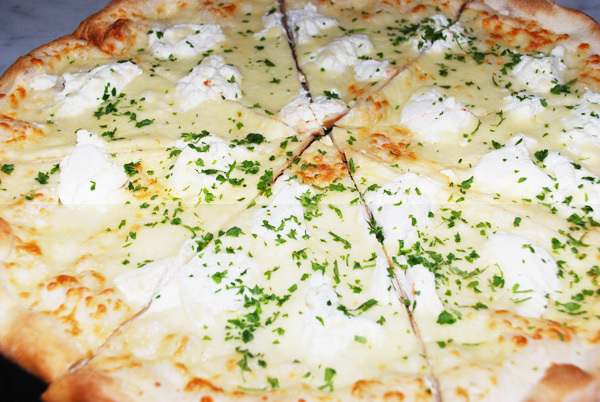 It’s time for you to revisit us at PrimoPizza84! We brought chicken, pepperoni, sausages & meatballs onto our brand new menu just for you & everyone in the neighborhood Rudy! We’re looking for you! Smile & eat more pizza!